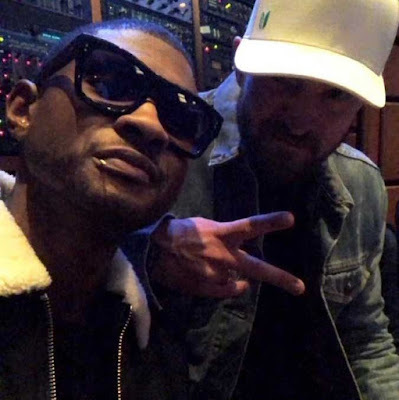 Justin Timberlake and Usher are cooking up a jam in the recording studio. This will be for Usher's new album. Justin's album is rumoured to drop in January, and producer Timbaland has already confirmed that the record is complete. JT has nothing to gain from this, but Usher has everything to gain from it... especially with that last album flopping terribly and his reputation being torn apart by herpes allegations. 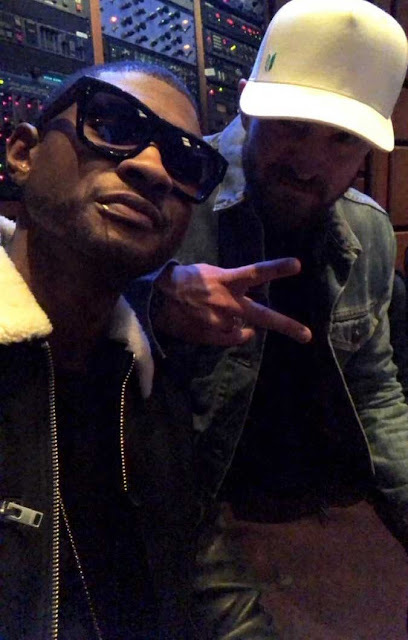 I wish they collaborated when Usher was the bigger star (or when they were both on the same playing field), but I suspect it would never have happened back then, because egos got in the way of that.